Sales of sterndrive boats continued to decline through October, sliding about 7.5 percent from last year on a rolling 12-month basis, according to bellwether state data collected by Info-Link. 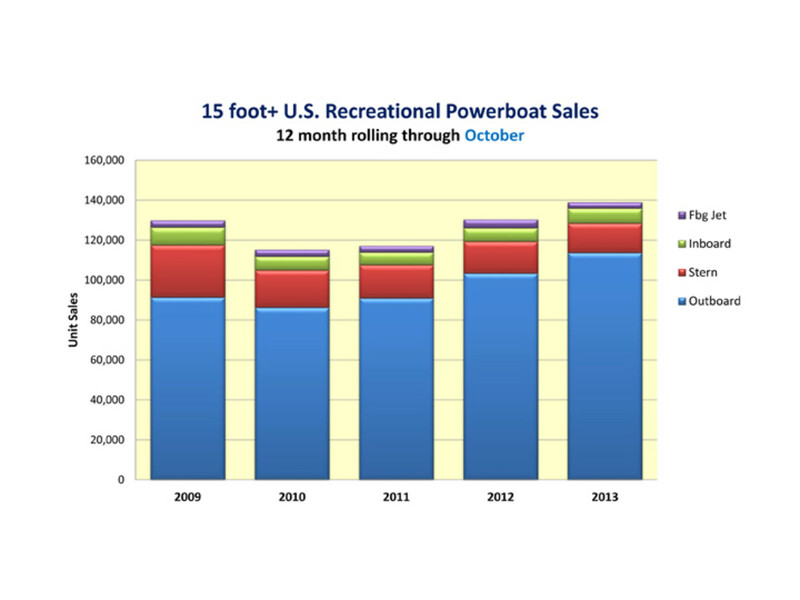 For the twelve-month period that ended in October, sales of powerboats 15 feet and larger are up 7 percent, compared with the same period last year. Outboard boat sales jumped 10 percent, driven largely by pontoons and fishing boats, Ellis said. Inboard boats, driven primarily by ski boats, also rose 10 percent. Jetboat sales are down about 30 percent, but they increased by the same amount last year, leaving the results over the past two years flat, Ellis said.